Laurie turns ideas into results. She creates multi-million-dollar businesses in secure network and cloud service delivery. For product managers (PDMs), key performance indicators (KPIs) are the strongest, defensible tool in decision making. They identify the progress of the work of the team, the progress of the product and the overall business. Product manager KPIs include specific activities associated with the product, customers, and the overall process for bringing a product to market. KPIs should be used to celebrate success and identify risk. Conversely, the lack of KPIs leave a product manager blind to what’s going on and show a weakness in management style. Product managers should determine which product management metrics are the most important to track and report. The role of a product manager can be mystifying to many stakeholders. Some view it from their understanding of a project manager—keeping the progress on track and coordinating people to work together. Others view the role as a liaison between the sales teams and the engineering organization—translating business requirements into technical requirements. Progressive executive teams recognize product managers as the overall business owner or a business unit manager for a specific set of deliverables—the product. Product managers are responsible for the perception they want for their role. Strong PDMs leverage product management success metrics as a tool to demonstrate their proficiency in managing their product. More importantly, product KPIs are the foundation for monitoring the success or failure of products or the company. Product manager KPIs cover a broad set of topics. Product managers that come from an engineering background often focus on creating KPIs associated with the product. For product managers with a marketing background, the response is usually associated with usage or customer behaviors. Product managers must make the judgment call identifying what is most useful to assist them in their decision-making and their communications strategy. They should work with the executive team to identify the product management metrics that help them with their decision-making and in support of corporate goals. When pitching new ideas and asking for the investments required, having data about previous trends, and identifying methods of validating investment strategies will create a stronger business case. KPIs can be organized into various categories. It is important for product managers to explore which product management KPIs are important to communicate as part of building credibility, encouraging engagement, celebrating success, or identifying trends and issues. Professional PDMs will be selective when creating KPI reports. Depending on the level of automation, KPIs can involve many people. Pick the top five or six that give you the confidence in your progress and in your decision-making. The most common set of performance targets are the business KPIs that product managers often overlook. Creating KPIs for business performance will help identify trends in the success of the growth of the business. These are focused around customers, customer lifetime value, bookings, revenues, costs, and profitability. For executives, these business performance metrics will be the ones that drive investment decisions, lay a foundation for additional headcount, or drive go-no-go decisions at the departmental or product level. The following table identifies some KPIs relating to business performance, a suggested cadence, and descriptions. Dollars/currency by product/feature Revenues are the top line dollars. On a subscription, it’s not the overall deal size, but the dollars that have been recognized for the product or service used in a period (monthly or annually). Revenues are important from a balance sheet and cash flow perspective, but bookings are a stronger metric for growth monitoring. Dollars/currency by product/feature Bookings are a binding commitment for revenues for the product/service. A three-year contract booking, for example, is not recognized as revenue up front but will create a backlog and show business growth. Bookings provide a strong validation of the business in process. Bookings are carefully watched as an indicator of the growth of the company. Dollars/currency The funnel represents those deals in process, with estimated timelines, probability of closure, and booking value. Regular reviews with sales offer an opportunity to "do what it takes" to win those high-priority deals. The funnel represents the potential and should help with product decisions that match to specific customer requirements. Number of customers Churn (negative churn) identifies the loss of customers. Some industries will also track customer lifetime value (CLV) as a measure of loyalty. Since acquiring a new customer costs significantly more than keeping a customer, it’s critical to track customers and identify why they may be leaving. Time Time to revenue, onboarding Monitor and explore opportunities for the product, or the business model to reduce time to revenue or onboarding time. The shorter the process, the better the relationship will be with customers. Dollars/currency The costs associated with developing and delivering the service; COGS includes sales and marketing; OCOGS are strictly associated with creating and delivering the service. Acquisition costs may include technical integration, POCs, and demos. Gross margins are a calculation of costs over revenues. The company will monitor these carefully for financial reporting. Arguably, OCOGS is the strongest metric to be watching for product profitability. This is the cost of operating your product, especially in a SaaS environment. Number Net promoter score or the customer satisfaction score are subjective scores from customers with respect to the quality of service from the company. Should be monitored. As a subjective opinion, take it with a grain of salt, to be used only in conjunction with hard data. Third-party rating Analysts such as Ovum, Forrester Research, IDC, and Gartner will rank your company against competitors (e.g., Gartner Magic Quadrant™). As a corporate goal, PDMs should consider the investment required to gain external industry analyst validation. Product managers should monitor customer related KPIs as an indicator of how well the sales and customer success engagements are working. If customer velocity is reducing, then it’s critical to understand why. Is it a new competitor? Is it a pricing issue? Is it a customer communications/expectation issue? If customers are leaving (churn or attrition) then a deep dive should immediately ensue to explore remediation activities. A rapid increase in growth can lead to a discussion about market share, pricing increases, and new investments in the growth of the product line. Rapid growth can impact the performance of your operating environments, especially in a SaaS environment as it relates to COGS and OCOGS. Do you have enough capacity? Is Support sufficiently staffed? Is Customer Success able to handle the volume of customers? Are trends showing that you need to act immediately to prepare for the additional overhead? When considering financial or revenue forecasting and planning, find out about seasonal implications. These might include a need for “use it or lose it” budget situations at the end of the fiscal year. Most companies close their year in December. Consider March break as a down time and summer as a slow-down time for many businesses as people take vacations. Year over year comparisons will show those trends. Plan product releases, launches, and announcements with those considerations in mind. Product usage KPIs will help to identify how the product is perceived and used. It will help drive roadmap decisions relating to key feature functionality and user experience (UX). Create the tracking mechanisms within your applications to understand behavior as a tool for continuous improvement. Track often and report trending over a period of time. Discrete individuals System users (logins) Volume of users per customer is useful in understanding adoption trends. This is also useful for planning growth and ensuring the environment can scale reliably as the volumes increase. Discrete individuals or API call counts Feature usage tracked by triggers within the software Feature usage can identify success or failure of a feature launch or a marketing or sales campaign. Seconds or minutes Time counts can identify quality of performance of onboarding, downloading, abandonment, and transaction completion Having accurate records of time functions can be used to promote highly performant messaging to clients. Slow performance will drive up support costs. Utilize the product usage KPIs to identify potential customers that might churn due to performance issues. Monitor these KPIs to address situations before they become escalated issues. A program of continuous improvement will leverage these KPIs to demonstrate success. Product development KPIs help with identifying process improvements, velocity, and speed of development. Monitoring and sharing the results from the team can create new energy and competitiveness. Days Tracking performance against commitments. With a focus on engineering, this helps the team to be more accurate in their development and testing estimates. Work with Project Management to keep this data visible to the engineering and product management teams. Your reputation and theirs will depend on the integrity of the plan. Catch gaps quickly, adjust with data, and communicate appropriately if there will be a customer impact. Units of work over time; story points The team velocity is calculated by counting the number of units of work completed in a certain interval, (many companies plan two-week sprints). For example, if the team completed 10 stories during a two-week sprint and each story was worth three story points, then the velocity is 30 story points per sprint. Team velocity is a useful metric for estimating how long it will take a team to complete a software development project. With continuous reporting and monitoring of this metric, product managers and engineering managers can validate engineering estimates against their proven history. This provides for more accurate time estimates and more reliable roadmaps. Hours or man-days Track critical resources Monitoring your critical resources will help with resource planning against roadmap requirements. It’s important to work with the engineering leads to agree on appropriate KPIs and to share them with the team. KPIs can form a basis for recognizing achievements, managing team size, or identifying areas for improvement. Product quality KPIs will identify trends and risks in delivering an extraordinary customer experience. Product managers should consider tradeoffs in quality against delivery timelines, keeping in mind that a single failure found by a single client can have a profound impact on the business. As more customers leverage social networking to share their displeasure, quality KPIs should be high on the priority list. Number of days; quantity of tickets; severity of escalation Number of customer calls, tweets, chats, and blog complaints; severity of calls; time to fix; outstanding bugs Closely monitor Support's impact on product quality. With an overall goal of excellence, this is a critical set of KPIs. Automation percent, number of tests completed successfully Testing KPIs can cover several areas from automation coverage reports to unit testing, system testing, and feature testing Work closely with the testing team and engineering teams to validate the quality of the product and create goals around continuous improvement. Product quality can form a validation of the quality of the engineering organization. Properly used, KPIs can create a foundation for continuous improvement, reduction in testing, automation, and overall improved customer experience. When building relationships with other organizations within the company, recognize that they also have KPIs. Many of those are shared (e.g., revenues, customers, usage, etc.). For product managers with goals around meeting analysts’ comparisons (e.g., Gartner Magic Quadrant), working with Marketing to promote positive results can support the competitive market positioning needs. The foundation may start with customers that are loving the product (usage is increasing), which improves the brand (a marketing KPI). This could turn into a customer success story, be used with analysts to drive further brand recognition, or can be tied to word-of-mouth qualified lead generation. Identification of negative trends can lead to mitigation plans that will remediate the situation as a team. 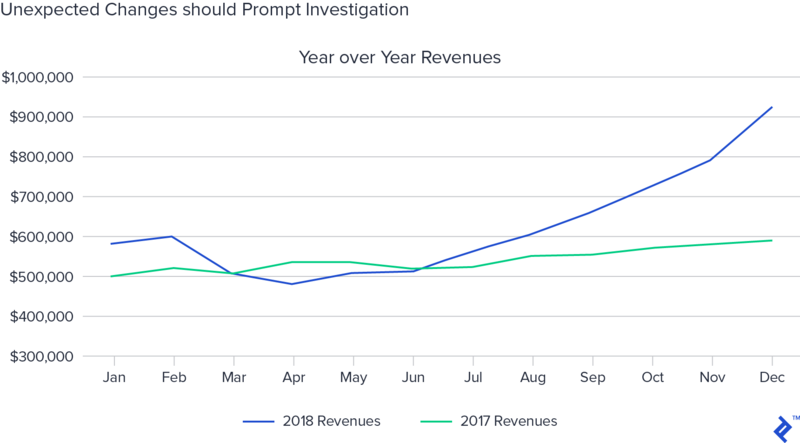 For example, if Finance identifies that renewals revenues are dropping off, Product Management can coordinate with Marketing to create a sales renewals campaign around a new (or upcoming) functionality to address the situation. In this scenario, not only does the renewal (revenue) challenge get resolved, but Product Management can identify potential MVP or beta users to test and promote new functionality. Understanding how product management KPIs fit with each organization’s goals can create synergies to drive successful relationships. A regular cadence of communications with the rest of the organizations can help with early identification of opportunities to improve. Here are a few discussion topics where other departments may be involved when certain trends are identified. As the center point to the overall product business, a product manager has the unique opportunity to influence and drive success for the company with clear communications. Explore the following business scenarios and consider which performance metrics will create the best positive impact when communicated regularly. Reinforce your credibility. Share data with pride, and give credit where credit is due. Reinforce teamwork. Pick from the business performance and product quality highlights to share. Celebrate successes and build trust and integrity with product management and engineering. Share KPIs that they specifically participated in—crossing all categories, but primarily in product usage, product development, and quality. Demonstrate your leadership and understanding of the corporate goals. 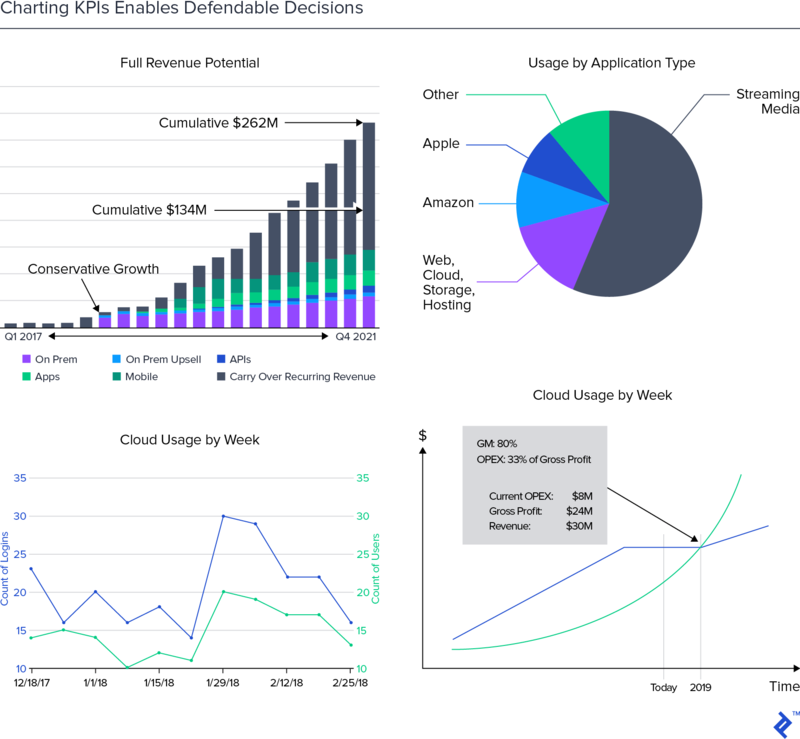 Measure and report KPIs that are agreed upon with senior leadership—focus on business KPIs relating to COGS, OCOGS, release timelines/roadmap, and specific efforts around strategic accounts, sales support, and MVPs. Get hard data to escalate risks and develop clear plans. Historical and trending KPIs will help to identify anomalies before they become tragedies. Ambiguity is the bane of any communications. Exactly how bad is it? How great was it? What are the facts? Creating a data-driven foundation helps to eliminate fuzzy conversations and creates definitive, clear communications. An informed product manager will have their finger on the pulse of the business performance, product development, product quality and product usage KPIs that are the foundation of a well functioning business. The opportunity for product management teams to drive a business lies in the knowledge, based on real data, of how the key factors of the product and business are running over time. Pick the top five or ten KPIs—monitor them religiously and repeat them at every opportunity. By continuously communicating successes and dealing rapidly with negative results, the surprises and challenges that always come with the job of a product manager will be minimized. Knowledge is power, and product management KPIs allow product managers to own success. Skills in getting this right can make or break a company. What is the purpose of a KPI? A KPI is a measure of performance. It counts activities, revenues, costs, usage, or other measures that inform decisions. Product managers will use KPI data to monitor success or failure in product or business goals. KPIs can also identify changes which might require an immediate change in business direction. How do you choose a KPI? Product managers will choose KPIs that meet specific performance goals or those of the company. This may include customer performance, product usage, product development or financial performance indicators. Product managers will monitor 5-6 KPIs regularly and select others to monitor for specific situations. What metrics provide the best data for companies? Popular company performance indicators include revenues, profits, and the number of customers. Measured over time, the speed of growth is important in identifying investment opportunities to further accelerate company success. Conversely, unexpected negative changes should warrant immediate investigation. Which metrics will be most important to track for our product? Important product performance indicators include on-time delivery, quality, support, usability, and customer adoption. With a culture of continuous improvement, most product managers will look for ways to increase revenues, loyalty, and usability to drive an increasing customer lifetime value (CLV). The product management role defines taking a concept and turning it into reality. They are responsible for the success of their product(s). The role spans coordinating with every stakeholder in the organization from the client who will purchase or use it to the entire corporate organization. What is the product management process? The product management process is best viewed from the customer journey. A product manager is responsible for optimizing each touchpoint with a customer or prospect to ensure a positive experience. The success of those touchpoints will drive the success of the product, which in turn defines company success. 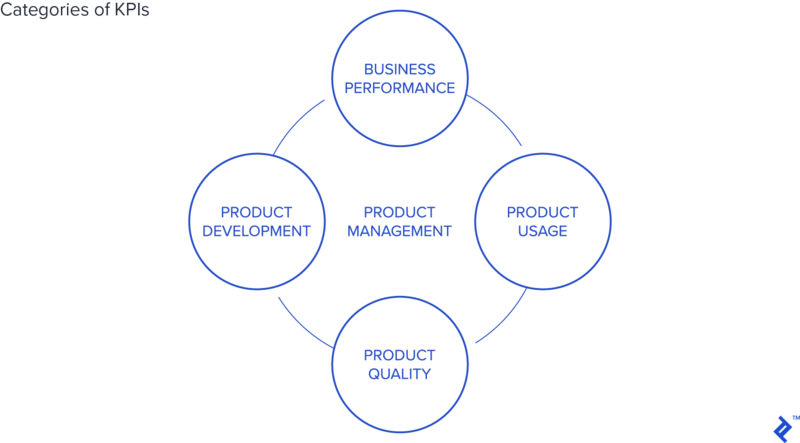 Why is product management so important? Product management owns the success of the product. Product managers motivate and inspire entire organizations to accomplish the tasks required to get a product to market. They are experienced, professional managers. They are key decision makers; their decisions must be credible and understood by all stakeholders.